Post nasal drip is a common occurrence whereby the glands in your nose and throat continually produce mucus to fight infection, moisten the nasal membranes, and filter out foreign matter. 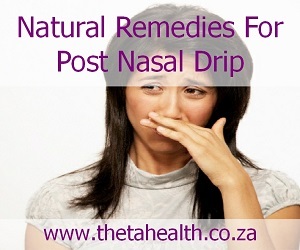 Try our natural remedies for post nasal drip. Below we have vitamin supplements and health products to fight post nasal drip.